Today I would like to explore some of the contents of Bernie Tom’s IDPF and make mention of Orel Lev’s IDPF. Orel died with Bernie and Kenneth Hull, whose IDPF I do not currently have. One interesting fact that is a bit in question is the death date of Orel and Bernie. Their Report of Burial forms say date of death 8 October 1944. They were both buried at 16:30 on 9 October 1944. Their Reports of Death provide a death date of 9 October 1944, as does Bernie’s grave. Kenneth was repatriated and buried in California. His Headstone Application shows a date of death of 9 October 1944. According to the testimony and narrative, in Fighting Fox Company, about the artillery barrage at the position in which Hull, Tom, and Lev were, it is possible they died on the evening or overnight on the 8th. Graves Registration and the personnel who created the Report of Death, may have processed a lot of remains that day and did not pay close enough attention to the date of death on the Report of Burial form. These are the “small” details we often overlook by just searching for the answer to one question as we investigate these records. Bernie’s file contains many letters from Fred Tom (Bernie’s father) and the military. Fred also enlisted the help of his congressman to learn the location of Bernie’s grave and the details on “missing” personal effects. 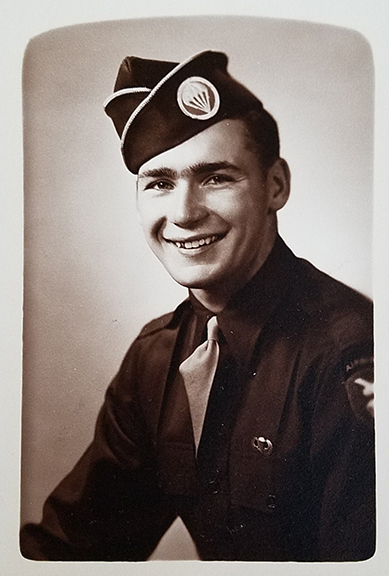 As many parents or widows of soldiers did, Fred wrote to the military inquiring about personal effects he believed or knew his son to have carried, that were not returned. Unfortunately, items were not always recovered by Graves Registration personnel. Sometimes items were pilfered or lost in the area in which the soldier died. Sometimes a soldier told a buddy to ‘take my watch or ring and send it home if I die.’ And as in the case of my cousin James Privoznik who was killed by a high explosive shell during the Battle of the Bulge, later buried in Luxembourg, it is likely any personal effects survived based on the description of his remains. Yet his mother was not told this. Families were not told many things after their loved one died. That is a post for another time. Of all the IDPFs I’ve read, it is my observation that the men who inquired and pressed the military and government for answers, got them. Most of the men had one or all of the things required to get answers: education, money, or social connections. It seemed the men (and only one woman in a file I’ve read so far inquiring about her brother), who had one or all three of those things, would receive information above and beyond what the average family received. Women were less likely to press for information, or receive answers, if they did. Bernie’s father pressed and the military responded with great detail which you can read in his file. 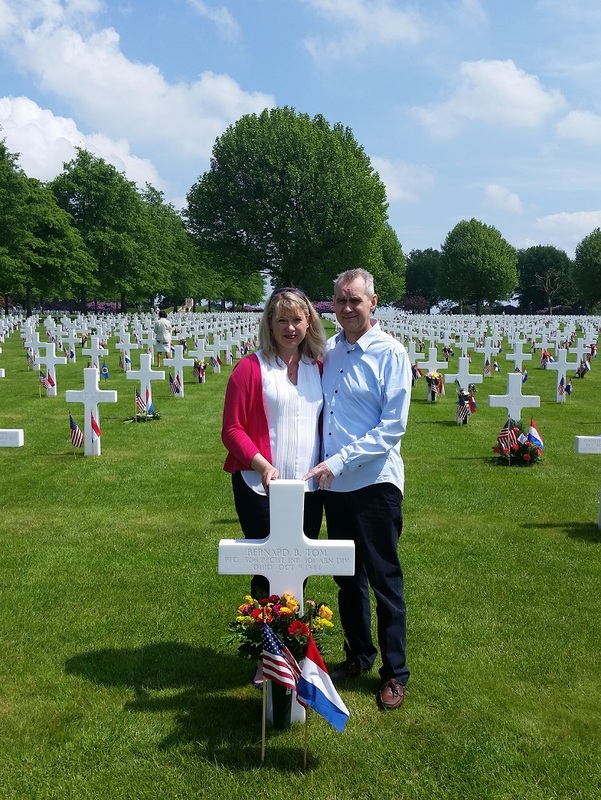 Bernie’s file contains information on his burial temporarily in Molenhoek, his father’s decision to leave his remains overseas, and final interment papers for Margraten. Tomorrow we’ll look at the decision Fred Tom made regarding where to permanently bury his son. Read Bernie’s 122 page IDPF. Read Orel Lev’s 44 page IDPF. There are countless books available on the Airborne in World War II. Two specific books to help you learn more about Bernie’s service include the following. Learn more about F Company in the book Fighting Fox Company by Terry Poyser and Bill Brown. Learn more about Paratrooper training in the book The Making of a Paratrooper. Airborne Training and Combat in World War II by Kurt Gabel. What details have you learned about your soldier through the IDPF? What discrepancies did you discover and how did you resolve them? Did your family press for answers? If so, did they get them?